I’ve noticed recently that most of my novels have some crisis dealing with a health issue of some kind. I think there are several reasons for this. One, I’m a doctor’s kid. Not that my dad talked about any of his patients or cases, but growing up medical topics were just there. Plus, I find them interesting. Another, and probably more pertinent reason, is the emotional connection we as readers can have with the characters who are going through crises of health. They are common and familiar to us. We can identify with a loved one having an accident. We can feel the fear of a mother terrified her child will succumb to an illness. We know the helplessness of watching someone whither and die far too young from cancer. These types of circumstances pull at me more than having a bad guy or guys attack the main characters. I don’t have experience with evil in that form, so it’s not something I am comfortable writing (although I have and will). It might be those sort of situations just scare me too much so I don’t want to write them. I’m pretty much a wuss and proud of it. Today, we don’t have the same fears as the characters of the era Sweet Americana Sweethearts novels. Medicine of early and pre-1900 was still pretty primitive. Even then, the idea of germs was not a totally accept concept. President McKinley most likely died as a result of an infection from the gunshot rather than the bullet itself. His physician didn’t believe in germ theory. 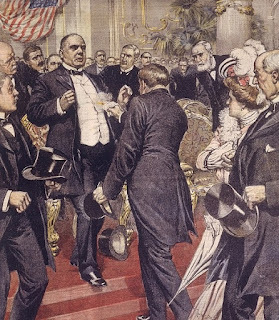 Things we take totally for granted were just being developed in the 19th century. Stethoscopes were in their infancy in the 1870’s. The medical thermometer wasn’t invented until the 1880’s and wouldn't have been in common use until much later. Anesthesia was new and often made the patient quite ill or, if not used in the proper manner, led to death. Antibiotic properties were not discovered until the early 1900’s. It took until after World War II for them to become prevalent and commonly used. 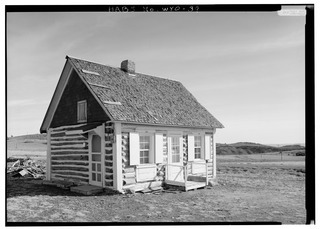 Cabin used for quarantine in Wyoming in the 1890's. Wikicommons. The diseases we generally vaccinate against today led to deadly epidemics before the 1960’s. In my most recent release, Laundry Lady’s Love, a measles epidemic descends on Stones Creek. 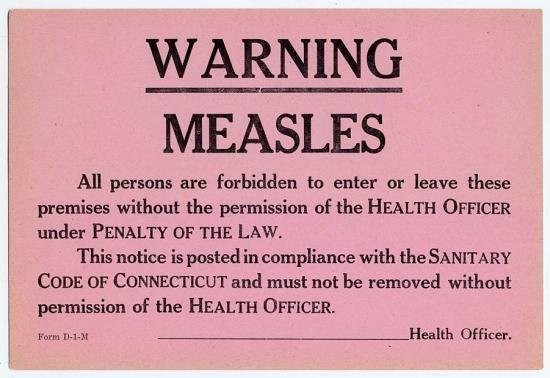 In some towns only 1 in 10 survived the measles. The threat of death coming to any of the children and other residents was real, and measures of containment were primitive at best. 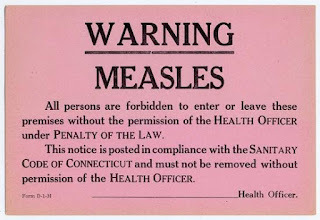 I can remember being under quarantine, restricted to in the house, with a red Quarantine sign in the window while my sister and I had both measles and mumps. Yeah, I’m giving you a clue to my age. 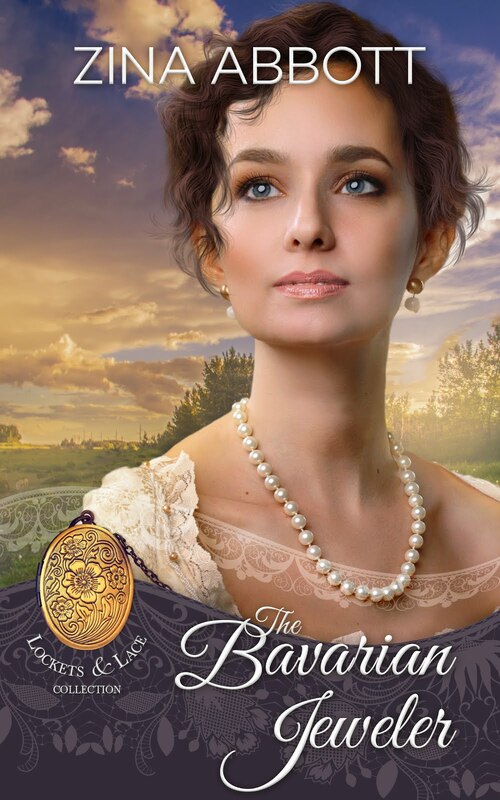 Even though my sons never had an illness or accident that was life threatening, as I wrote the epidemic, and some of its consequences, I was moved to tears by the fear and sorrow my characters were going through. I’m a mother. I can identify. I, not only can imagine their emotions, but I can go through them myself because illness and accident can visit itself upon us at any moment. Even though, in our modern world, we can successfully conquer most health issues, the emotions we go through are the same as those of yesteryear. Laura’s fear for Eddie and Mark, Hank’s fear for Laura, Hank going to Massot requesting another casket be built. Those resonate with each of us. We feel what the character feels. Isn’t that what we want out of our stories? At least it is for me. You can find Laundry Lady's Love on Amazon. You make an interesting point on confict and personal experiences. It does make you ponder the idea of writing those experiences you know. Makes sense, being a child of a medical household to include that in your writing. Having worked in the justice system, it makes sense for me. I guess I'm a wuss, too, because, I totally agree with you! That is one of the reasons I love your books!